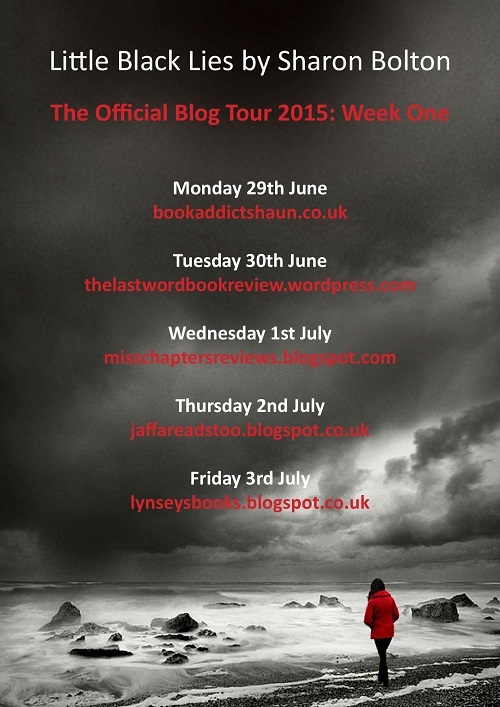 What made you think of the Falkland Islands for a setting for Little Black Lies? I love island settings. I love their physical constraints and the impact these have upon a book’s spirit. I love their closed, claustrophobic communities with their own social customs and moral codes. I love the sense that anything is possible, that one has stepped into a world apart, and that when the sun goes down, there is no escape. Islands are perfect for the books I write. The trouble is, most British islands have already featured in more than one crime novel and I really wanted somewhere new. I was talking about this one day when a friend of mine suggested the Falkland Islands. I wasn’t sure at first, but the more I found out about them, the more perfect they seemed. A place we have all heard of, and yet know practically nothing about. More British than Britain, in many ways, and yet so remote as to be verging on the alien. As part of the research for the book did you visit the islands? How long where you there for? My visit to the Falkland Islands is yet to take place! I’m sure some readers will question my failure to visit already, but what people often don’t realise is how tight the timescale is for producing commercial fiction. I have less than a year from deciding to write a particular story to seeing it go to print. When I factored in the distance, school holidays and the different hemisphere (my book is set in Spring, so my trip would have had to be in our Winter) a visit just wasn’t practical. Instead, I relied heavily upon desk research, more formally through books and websites, less so through social media. I was also lucky enough to have some people who do know the islands well read through and check the final draft. For a dark psychological thriller set in the South Atlantic what where the challenges you faced in coming up with the plot? 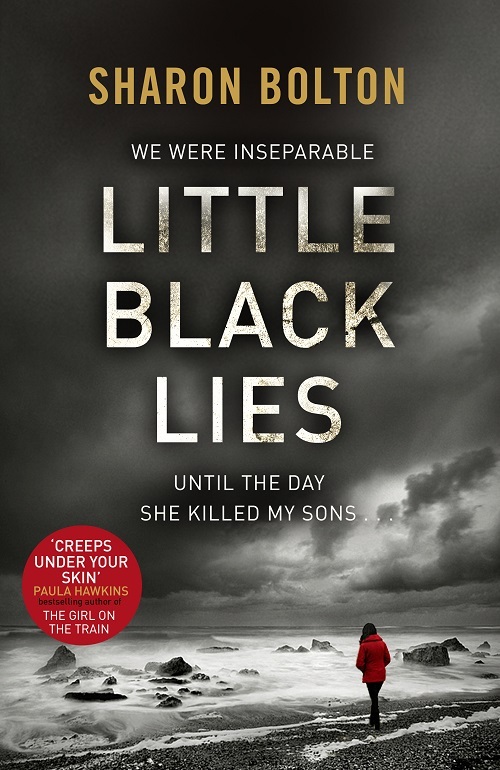 Little Black Lies deals with many themses such as ‘Friendship, Grief, Jealousy to name but a few, was this your intention to highlight some key themes as part of the story line? No. For me, themes are an added bonus. My novels are invariably so complex that I can only really focus upon the plot when I’m planning and even drafting a book. The characters, themes, atmosphere, etc, all have to take care of themselves. at least for the first couple of drafts. What does usually happen, though, is that themes emerge as the writing process continues. When I spot this, I can build upon it, adapt events to bring a particular theme to centre stage, adjust character development, but I would never try, artificially, to impose a theme upon a story. I think the result would be very clumsy and obvious. For me, the key issues arising from Little Black Lies are a) how can those whose lives have been devastated find a way home and b) how do we ever really know what we are capable of, until we’re put to the test? When you wrote Little Black Lies were you conscious of some the issues that the storyline brings to the reader such as suicidal thoughts and self hatred and was this difficult to write about? All my books are difficult to write. They all deal with events and problems that we hope never to come across in our normal lives. Catrin is living our worst nightmare and naturally it was difficult to put myself into her shoes. When I came to Rachel’s point of view, in many ways it was even worse. Suffering a terrible tragedy is one thing, being responsible for that of someone you love is quite another entirely. 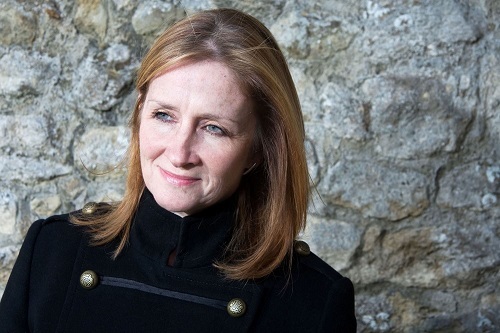 How long did it take you to ‘pen’ Little Black Lies and would you say it was your best novel to-date? It takes a year, from start to finish, to complete a novel and this usually involves the input of several other people, including agents and editors. I’m pleased with Little Black Lies, but ‘best’ is a very subjective judgement. There are people who still think Sacrifice is my best novel, and probably always will, no matter how much I might feel I’ve improved since then. Competition time. 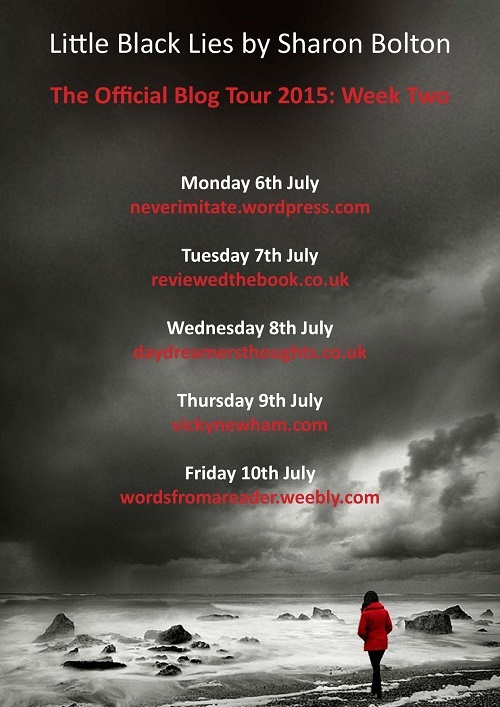 If you would like the chance to win a copy of Little Black Lies. Head over to my Twitter feed @Thelastword1962 just retweet the message to enter the draw. The competition closed at 9pm today and the winner will be drawn and contacted on Wednesday morning. Good luck.